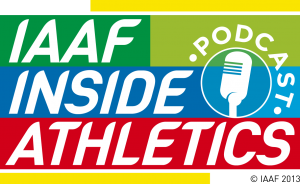 We’ve loved putting together this month’s IAAF Inside Athletics podcast with exclusive interviews from Sandi Morris, Kevin Mayer, Elaine Thompson and Gabriele Grunewald. Give it a listen now to find out which celebrity Sandi Morris would love to be for the day! If you’re tuning in on ITunes, then don’t forget to rate and review the podcast to be in with the chances of becoming “Fan of the month” and winning some fantastic IAAF merchandise!